Membres ASA = Fr 40.-. Couples ASA = Fr 70.-. Non membre = Fr 80.-. Repas de midi en plus = Fr 25.-. The anti-tumor properties of Propolis continue to be discovered in more diverse geographical locations. Fortunately, its effects are consistently proven very positive and very complementary with other treatments. ► We selected one propolis extract with highest cytotoxic effects on different cancer cell lines. ► We have investigated the chemical composition in quantitative manner by using HPLC-ESI-MS.
► We have elucidated the cell cycle perturbations induced by propolis compound M. This is the first study that investigated cell cycle perturbations induced by M using BrdU/DNA assay. The study was designed to evaluate anti-tumour properties of Iraqi propolis collected from Mosul region (M) on HL-60 and HCT-116 cell lines and on HCT-116 in vivo. M induced an inhibitory effect against the proliferation of HL-60 and colony potential of HCT-116 cells. 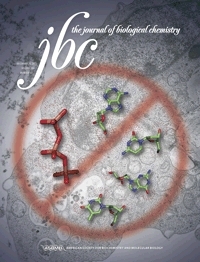 The apoptosis in HL-60 cells was associated with down-regulation of Bcl-2 and activation of Bax, while in HCT-116 cells, necrotic features were observed; size of cells was dramatically increased by swelling of cytoplasm and loss of membrane integrity, cell rupture and release of cellular contents. Analysis of BrdU/DNA cell cycle in both cell lines showed that M induced cell cycle perturbations in both BrdU positive and BrdU negative cells. The exposure of HL-60 to M caused γ-H2AX in a dose dependent manner and was associated with induction of apoptosis. The experiments in HCT-116 tumor-bearing mice showed that oral administration of propolis at doses that caused no detectable toxicity was associated with a decrease in mitotic cells and an increase in endoreduplications, increased p53 and decreased Ki-67 expression of cells in tumor sections. This study provides the rationale to investigate the potential beneficial effect of propolis in the diet of patients receiving anti-cancer therapies. 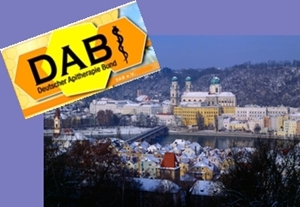 The 10th Annual German Apitherapy Congress and Api-Expo will be held in the IBB Hotel and Convention Center in Passau, Germany. There will be workshops for Apitherapy beginners held before and after the Congress. All events are bilingual in English and German. 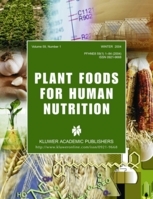 Guest speakers and Authors include professors, physicians, therapists, veterinarians, microbiologists from Egypt, Ecuador, Germany, Japan, Lithuania, Portugal, Romania and Slovakia. For hotel accommodations, visit the IBB Hotel website. New sterile medical-grade Manuka Honey products launch at NAVC Conference. 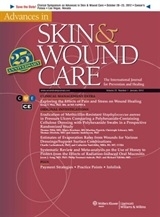 IRVINE, Calif., Jan 09, 2012 (BUSINESS WIRE) -- Links Medical Products Inc. (LMP) announced they will present their new medical-grade Manuka honey dressings, for use in advanced veterinary wound care, at the 2012 NAVC veterinary conference in Orlando, FL. Made with 100% active medical-grade Manuka honey, the products provide veterinarians with dressings to help manage and treat animal wounds and burns and to speed healing. "Our products are made with 100% active medical-grade Manuka honey, never a mix of honey," states Tom Buckley, Links Medical's CEO. "It's harvested exclusively from hives dedicated to bees that pollinate the Manuka bush (a species known as Leptospermum scoparium) native only to New Zealand." Great care is taken to ensure the new LMP wound care products meet the highest standard of purity and bioactivity. LMP's brand of medical-grade Manuka honey is finely filtered to remove all processing particles and sterilized by gamma irradiation to eliminate bacteria, microorganisms, and spores. Gamma irradiation assures the honey retains its biologic activity. * Extensive bibliography available upon request. Honey, both unifloral (Syzygiumcumuni) and bifloral, demonstrated strong antimutagenicity against physical (UV, γ) and chemical (Ethylmethane sulfonate) mutagens as ascertained by rpoB/RifR and Ames tests. The effect of honey was evaluated in radiation (UV or γ) exposed E. coli cells for SOS response, a well known error prone repair pathway known to significantly contribute to mutagenicity by quantifying LexA repressor level, measuring cell filamentation frequency, and prophage induction by SIVET (Selectable – In - Vivo Expression Technology) assay. 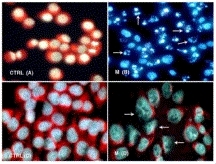 LexA was almost completely degraded, phenotypically long filamentous cells (∼30 μm) were formed, and SIVET induction frequency was increased in radiation exposed E. coli cultures, however these changes were significantly inhibited in presence of honey confirming its strong antimutagenic nature. Further, rpoB/RifR mutation frequency upon UV exposure in E. coli recA- cells was found to be negligible, whereas, E. coliumuC- and umuD- knockouts showed comparatively higher mutation frequency. Honey did not show any effect on mutagenesis in these knockouts, indicating the SOS dependence of the observed mutagenesis. Honey was also found to suppress EMS induced mutagenesis but through SOS independent mechanism. Phenolics present in honey were found to be one of the important factors contributing to the antimutagenicity of honey. Pollen analysis indicated commercial Indian honey as unifloral and bifloral. It showed broad spectrum antimutagenicity by Ames and E .colirpoB/RifR tests. Honey suppressed E. coli SOS response, an error-prone repair process. Error-prone repair is one of the major causes of mutagenesis. Honey inhibited LexA degradation, cell filamentation and prophage induction. Is Propolis Safe, Alternative Medicine? When you look at the extremely low incidence rate of negative reactions, it begs the question, why isn't it more prevelant? The source of Propolis is important when wanting to take advantage of specific bioflavonoid activity. But generally speaking, the consistent properties of propolis as an immunostimulating, anti-inflammatory, antiseptic agent are inherently safe. Propolis is a resinous substance produced by honeybees as defense against intruders. It has relevant therapeutic properties that have been used since ancient times. Nowadays, propolis is of increasing importance as a therapeutic, alone or included in many medicines and homeopathic products or in cosmetics. In spite of propolis being commonly used in cosmetic and medicinal preparations owing to its antiseptic, anti-inflammatory, and anesthesic properties, it is not completely innocuous because 1.2 to 6.6 patients who were patch-tested for dermatitis were sensitive to propolis. The main allergens were 3-methyl-2-butenyl caffeate and phenylethyl caffeate, that is, components present in the poplar-type propolis. Clinical allergy in humans is presented as contact dermatitis or oral mucositis, beekeepers being the most affected. Nevertheless there has been a recent rise in this incidence among biocosmetic users, on account of the increasing popularity of natural products such as propolis. According to these authors, patients with an allergy to propolis may be at risk of cross-sensitization with balsam of Peru, a common allergen found in flavoring agents, perfumed products, certain spices, and products that contain the peel of citrus fruit. Therefore, propolis is a complex natural product with a great diversity of chemical structures and subsequent biological activities, nevertheless, it is not completely innocuous and care must been taken, mainly when such a product has a great diversity of origins. An absence of quality control may be pernicious to human health. 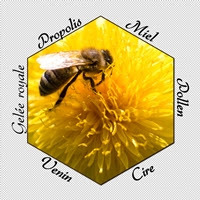 9h à 9h30 Quel avenir pour l’apiculture ? Professeur Eberhart BENGSCH, Docteur en Sciences, biochimie, virologie, apidologie, Institut Max Planck, Munich (Allemagne) ; Vice-président de l’AFA, expert mondialement reconnu concernant la gelée royale et ses effets antiviraux. An outbreak of Foot and Mouth Disease (FMD) affecting 95 (57.2%) out of 166 cattle occurred in a medium-scale dairy farm in Kikuyu district, Kenya. 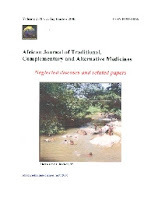 Ethnoveterinary remedies of natural Soda ash solution (97% sodium bicarbonate), honey and finger millet flour were used to manage the FMD lesions. The lesions were washed with soda ash solution to remove the necrotic tissue after which raw honey and finger millet flour were applied to the cleaned lesions. The lesions were examined daily and those with necrotic material washed again with the Soda ash solution. Honey and finger millet flour were applied daily for three days. 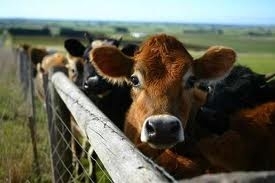 There was rapid healing of the lesions with the animals resuming feeding after three days. The fast healing of the lesions vindicates the use of these cheap, locally available and easy to apply products in the management of FMD lesions. However, more studies are needed to evaluate further their potencies. We previously demonstrated that a single injection of diluted bee venom (DBV) temporarily alleviates thermal hyperalgesia, but not mechanical allodynia, in neuropathic rats. The present study was designed to determine whether repetitive injection of DBV produces more potent analgesic effects on neuropathy-induced nociception and whether those effects are associated with increased neuronal activity in the locus coeruleus (LC) and with the suppression of spinal NMDA receptor NR1 subunit phosphorylation (pNR1). DBV (.25 mg/kg) was administered subcutaneously twice a day for 2 weeks beginning on day 15 post-chronic constrictive injury surgery. Pain responses were examined and potential changes in LC Fos expression and spinal pNR1 expression were determined. Repetitive DBV administration significantly reduced mechanical allodynia, as well as thermal hyperalgesia. The activity of LC noradrenergic neurons was increased and spinal pNR1 expression was significantly suppressed by repetitive DBV as compared with those of vehicle or single DBV injection. These suppressive effects of repetitive DBV on neuropathic pain and spinal pNR1 were prevented by intrathecal pretreatment of idazoxan, an alpha-2 adrenoceptor antagonist. These results indicate that repetitive DBV produces potent analgesic effects on neuropathic pain and this is associated with the activation of the LC noradrenergic system and with a reduction in spinal pNR1. The results of current study demonstrate that repetitive administration of DBV significantly suppresses neuropathic pain. Furthermore, this study provides mechanistic information that repetitive treatment of DBV can produce more potent analgesic effect than single DBV treatment, indicating a potential novel strategy for the management of chronic pain. Several monofloral Cuban honeys were analyzed to determine their free radical-scavenging activity and from this the total antioxidant content was estimated. The protective effect against lipid peroxidation in an in vitro model of rat liver homogenates was evaluated and, lastly, the mineral content of the honeys, which can be related to the maintenance of intracellular oxidative balance, was determined. The scavenging capacities against hydroxyl and superoxide radicals were determined using the spin-trapping technique and the hypoxanthine/xanthine oxidase assay, respectively. Lipid peroxidation was evaluated through the production of TBARS and hydroperoxides. All honeys tested showed potential antioxidant activity with Linen vine displaying the highest scavenging capacity towards the DPPH, hydroxyl and superoxide radicals, while the least efficient was Christmas vine honey. Honeys also inhibited, in a concentration-dependent mode, lipid peroxidation in rat liver homogenates, with Linen vine resulting the best while the least effective was Christmas vine honey. The ability to scavenge free radicals and protect against lipid peroxidation may contribute to the ability of certain Cuban honeys to help in preventing/reducing some inflammatory diseases in which oxidative stress is involved. A total of eight minerals were identified and quantified as follows: cadmium, chromium, copper, nickel, iron, manganese, lead, and zinc. Minerals found in higher concentrations were iron, zinc and manganese. Recently, 4 separate human controlled trials reported that honey appeared to protect from the effects of radiation-induced oral mucositis formation, a complication of radiation therapy that is responsible for pain and overall reduction in quality of life. In this systematic review and meta-analysis, the authors examined 3 of these controlled trials (n = 120) that met the inclusion and exclusion criteria to determine whether honey had protective effects against radiation-induced oral mucositis. The meta-analysis demonstrated an overall relative risk reduction of 80% in the honey treatment group compared with the control. Although favorable, the data must be approached with caution because of lack of description of the method of randomization and potential bias in all 3 of the individual studies included in the meta-analysis. The results are promising and further studies are needed to strengthen the current evidence prior to a firm clinical recommendation being given. Propolis is a natural product, collected by honeybees Apis mellifera, from various plant sources. Propolis is extensively used in foods and beverages because it improves human health. It contains more than 300 natural compounds such as polyphenols, phenolic aldehydes, sequiterpene-quinones, coumarins, amino acids, steroids and inorganic compounds. Propolis exhibits a broad spectrum of biological and pharmacological properties such as antimicrobial, antioxidant, anti-inflammatory, immunomodulatory, antitumor, anticancer, antiulcer, hepatoprotective, cardioprotective, and neuroprotective actions. The chemical composition and beneficial properties of propolis vary greatly depending on the phytogeographical areas, seasonal collection time, and botanical source. Polyphenols found in fruits and vegetables are beginning to receive increased attention due to their vital role in protecting neural cells from oxidative stress and neuroinflammation associated with normal aging and chronic age-related diseases. Asthma is a chronic inflammatory disease of the airways for which current treatments are mainly based on pharmacological interventions, such as glucocorticoid therapy. Our objective was to study the immunoregulatory effects of caffeic acid phenethyl ester (CAPE, a phytochemical synthesized from propolis) on cytokine secretion of peripheral blood mononuclear cells (PBMCs) from asthmatic children. PBMCs from asthmatic children (5.5 ± 3.3 years old, n = 28) and healthy children (5.6 ± 2.8 years old, n = 23) were co-cultured with CAPE in vitro with and without phorbol-12-myristate-13-acetate-ionomycin. Our results show that predominant interleukin 4 (IL-4) and interferon-gamma secretion of cultured supernatant were detected in healthy donors compared with asthmatics. In the presence of phorbol-12-myristate-13-acetate-ionomycin, with or without CAPE treatment, the asthmatic children showed significantly decreased levels of IL-10 secretion compared with the healthy controls. However, CAPE significantly decreased IL-10 and interferon-gamma in healthy donors. There was a slight but not statistically significant reduction of IL-4 secretion in CAPE-treated PBMCs compared with untreated control PBMCs from the healthy children. Our data also shows that CAPE significantly enhanced transforming growth factor-beta 1 production from PBMCs from asthmatic children. The immunoregulatory effects of CAPE on human PBMCs may be through the induction of regulatory T cells, as evidenced by the enhanced transforming growth factor-beta 1 production from PBMCs from asthmatic children in our study. Evidence shows that honey improves glycemic control in diabetes mellitus. Besides its hypoglycemic effect, studies indicate that honey ameliorates lipid abnormalities in rats and humans with diabetes. The majority of these studies do not examine the mechanisms by which honey ameliorates glycemic and/or lipid derangements. The gut microbiota is now recognized for its ability to increase energy harvest from the diet and alter lipid metabolism of the host. Recently available data implicate a causal role of these gut microbes in the pathophysiology of obesity, insulin resistance, and diabetes mellitus. In this review, we present some of the latest findings linking gut microbiota to pathogenesis of obesity, insulin resistance, and diabetes mellitus. The review also underlines data that demonstrate the beneficial effects of oligosaccharides on various abnormalities commonly associated with these disorders. Based on the similarities of some of these findings with those of honey, together with the evidence that honey contains oligosaccharides, we hypothesize that oligosaccharides present in honey might contribute to the antidiabetic and other health-related beneficial effects of honey. 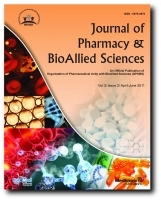 Potential protective effects of ethanolic extract of Cuban red propolis against toxicity induced by allyl alcohol in mice was investigated. Propolis at doses of 25, 50 and 100 mg/i.p. significantly decreased the activity of alanine amino transferase (EC 2.6.1.2) in serum and the levels of mal-ondialdehyde in mouse liver after induction with a dose of 64 mg/kg of allyl alcohol. However, propolis did not increase the concentration of reduced glutathione in mouse liver which is depleted by allyl alcohol. Propolis also reduced liver damage induced by allyl alcohol in mice. This effect was observed by electron microscopy. The hepatoprotective effects of propolis were dose-dependent and they were produced when propolis was administered 30 min before allyl alcohol administration. It is indicated that the ethanolic extract of red propolis exerts potential hepatoprotective effects in this experimental model which is probably caused by antioxidative properties (e.g. scavenging action against oxygen radicals) of this extract. 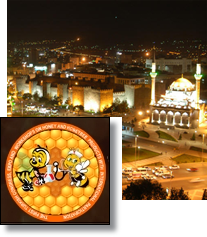 The First Turkish Congress, Expo and Workshops on Honey and Honeybee Products* is scheduled to be held at the Erciyes University, in Kayseri, Turkey between 22th and 26th February 2012. 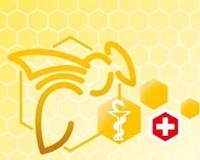 The congress will bring together international scientists interested in all aspects of honey bee products and apitherapy. Stands for advertising of products of companies in the honey and honey product sector shall be placed in the exhibition area throughout the congress. This would lead to new business and research opportunities between members of the honey sectors and researchers. There will also be a poster competition at the congress to encourage scientific activity of young scientists. First, second, and third places will be awarded with a certificate and a cheque. Bee venom antimicrobial peptide, melittin, besides showing versatile activity against microorganisms neutralizes lipopolysaccharide (LPS)-induced pro-inflammatory responses in macrophage cells. However, how the amino acid sequence of melittin contributes in its anti-inflammatory properties is mostly unknown. To determine the importance of the leucine zipper sequence of melittin in its neutralization of LPS-induced inflammatory responses in macrophages and interaction with LPS, anti-inflammatory properties of melittin and its three analogues and their interactions with LPS were studied in detail. Two of these analogues namely, melittin Mut-1 (MM-1) and melittin Mut-2 (MM-2) possess leucine to alanine substitutions in the single and double heptadic leucine residue(s) of melittin respectively while the third analogue is a scrambled peptide (Mel-SCR) which contains the amino acid composition of melittin with minor rearrangement in its leucine zipper sequence. Though MM-1 partly inhibited the production of pro-inflammatory cytokines in RAW 264.7 and rat primary macrophage cells in the presence of LPS, MM-2 and Mel-SCR were negligibly active. A progressive decrease in interaction of melittin with LPS, aggregation in LPS and dissociation of LPS aggregates with alteration in the leucine zipper sequence of melittin was observed. Further, with alteration in the leucine zipper sequence of melittin, these analogues failed to exhibit cellular responses that are associated with neutralization of LPS-induced inflammatory responses in macrophage cells by melittin. Though further studies are required in understanding the role of this motif in these molecules, the data probably indicate that one can design anti-LPS or LPS-binding molecule based on this structural element.